Black brushed stainless steel centre stack cover, known as "Tombstone" for MK1/NA MX5/Miata. 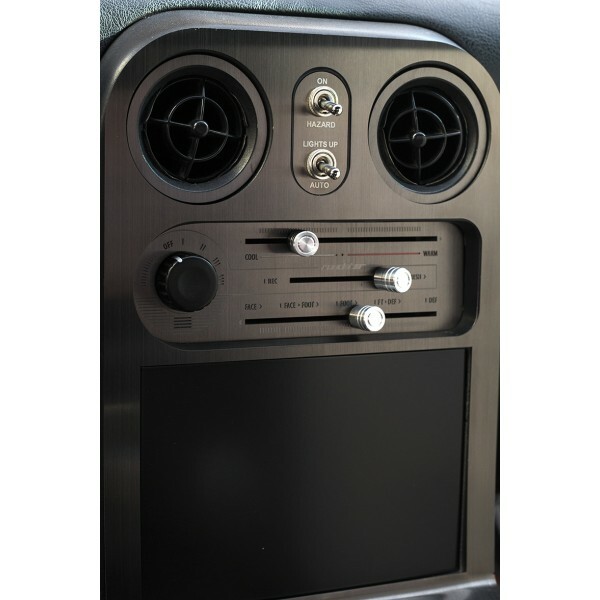 It will fully match the design of our stainless steel interior panels. Exact and tight fit and highest quality. It attaches with double sided adhesive tape (provided) or can be glued for more discrete appearance.